My mother told me after my “inside joke” post, that if I was going to continue using her as fodder for my blog entries I would have to pay her a fee. So. I guess I’m going to have to pay up the next time I see her because I could not resist posting this. THIS is what torments me so when I go to her house and I see these beautiful tins on her counter top. My grandmother had these tins as did my great-aunt and they all used them in the exact same way. It’s an ongoing familial conspiracy. I absolutely love these cookies. I’d say they are my favorite. Around Christmas-time (any time really, but Christmas-time especially) the question would always be: “Are there cookies in there? Or buttons?” Because it could very well be either. If there were buttons, they’d usually be hidden away in a drawer somewhere only to be brought out if mending were being done. HOWEVER, if mending were being done at some point in time, the tin could then sit on the counter for weeks at a time before being returned to its dark, faraway corner of the world, never to torment a cookie lover like me. But during its freedom from its dungeon, there it would sit, out in the open, waiting for someone to come along, drooling, craving that buttery sweetness that is a Danish butter cookie. 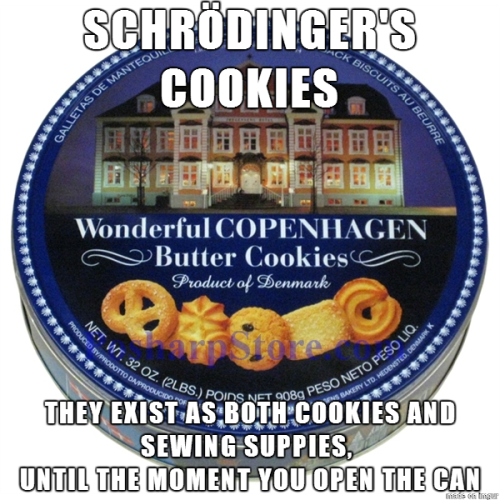 OR you might actually get Danish butter cookies. You just never know. It’s never the same two times in a row. And it’s enough to drive one mad. Because you just have to look. Just. In. Case. My mother is an evil, evil woman. Don’t let that sweet face fool you. Evil, I tell you. 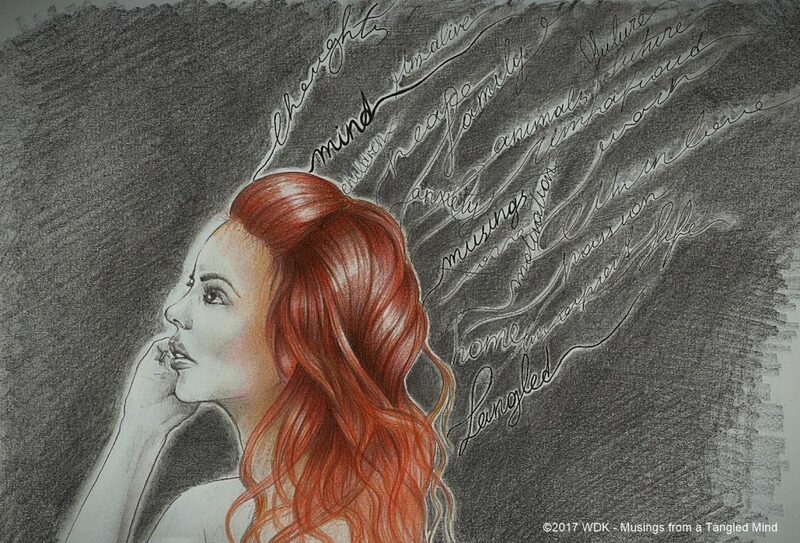 This entry was posted in Musings about Family Life and tagged humor, just for fun, mom, mothers. Bookmark the permalink. I adore those cookies, too! I know how you feel. I am almost always disappointed by those tins. I love those cookies. They are the only Christmas treat I buy just for me. I remember the button tins. I guess many of us spent time playing there. I had this same exact issue with these tins. I remember going to my grandmother’s house and greedily tearing off the lid to find … Christmas ornaments. And that was just last Christmas. Here’s revenge — make cookies that look like buttons and sneak them into the tin. Imagine trying to sew tiny cookies onto a shirt… 😀 Hugs!